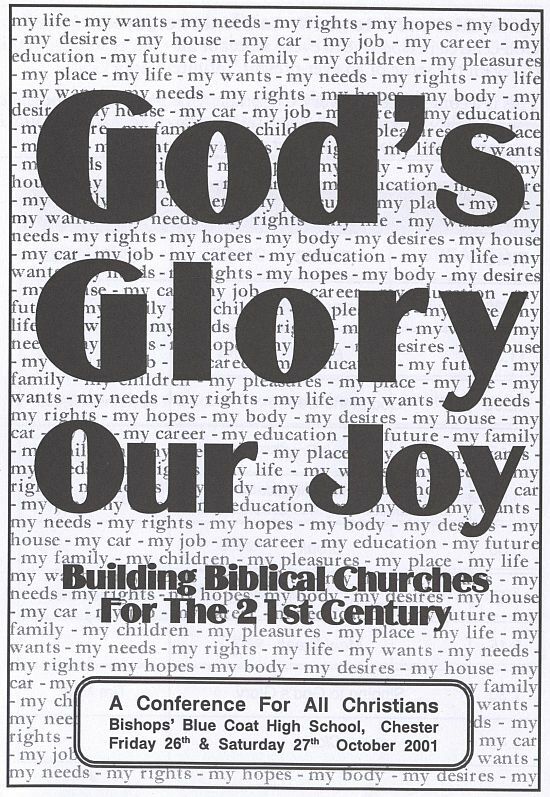 I hope the dates are in your diary: Friday 10th & Saturday 11th October for the God’s Glory Our Joy conference. 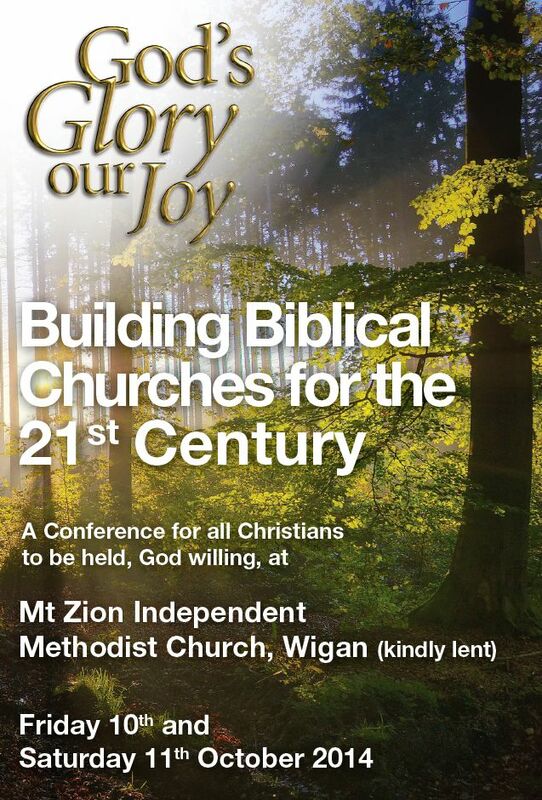 Same format as in recent years but a new venue: Mt Zion Independent Methodist Church, Wigan. This will be the fifteenth GGOJ we’ve helped to organise. The first was held in the year 2000. But the story goes back a couple of years earlier. It all began with discussions between a circle of men here in the North-West. They included Stuart Olyott who was then pastoring Belvidere Road Church in Liverpool, Walter Johnston who was pastor at Chorlton, David Harding who was at Milnrow, and myself here at Grace, Stockport. We were talking about a concern we all shared. We were all alarmed by the way that more and more believers had come to accept the idea that God still gives revelations to Christians today. Once it was only Pentecostal churches which encouraged believers to expect prophecies, messages in tongues, miraculous “words of knowledge” and so on. 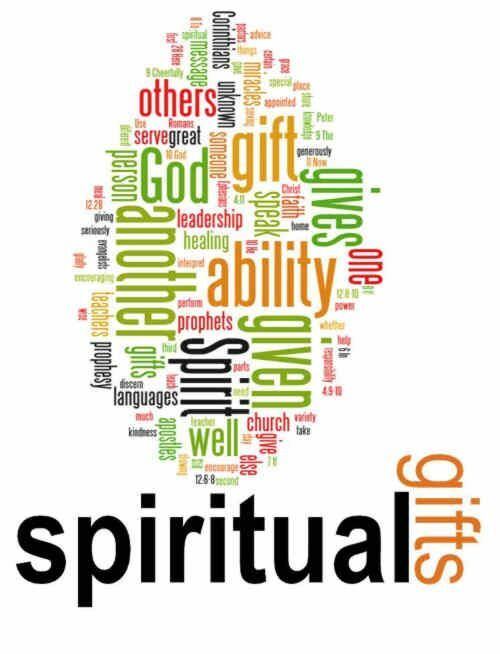 But in the 1960s and 70s the idea began to spread that all the spiritual gifts that God gave in apostolic times are still for today. The movement which spread this teaching was known as the “Charismatic Movement” (charisma is the word Paul uses in his letters to mean the various gifts which God gives to the church). In the years that followed, the charismatic movement engulfed the churches of the UK, sweeping through all the mainstream denominations. Thankfully, the majority of reformed churches resisted the new teaching. But we were aware that things were changing very quickly. Conferences were being held to promote the idea that we should be reformed and renewed – in other words, that we should accept the doctrines – and practices – of the charismatic movement. Bible-colleges, publishing houses, Christian magazines were all being swept along by the tide. And churches which refused to go along with the new trend were being accused of being tradition-bound, “quenching the Spirit” or simply “dead”. So the four of us asked ourselves, what could we do? Well, we agreed, the first need was simply to help Christians – including those in our own congregations – to understand why Bible churches have always stood against the idea that God would give Christians today new revelations from God. The argument that the “charismatics” used was very simple. If we needed prophecies and tongues and all sorts of other miraculous gifts in the first century, surely we need them still. Jesus Christ is the same yesterday, today and forever. So if he’s not changed, surely he’ll give us the same gifts as he did back then. The charismatics pointed to Paul’s words: “I want you all to speak in tongues, but even more to prophesy” (1 Corinthians 14:5) and declared that a church which refused to seek such gifts clearly didn’t believe the Bible. It all sounded simple and straightforward. And many Christians had no answer to give. Well, we knew we needed to help them find answers. We discussed various possibilities. But finally we agreed that we would organise a conference and throw it open to anyone who was interested in “Spiritual Gifts and the Bible”. So that conference was held in 1998. 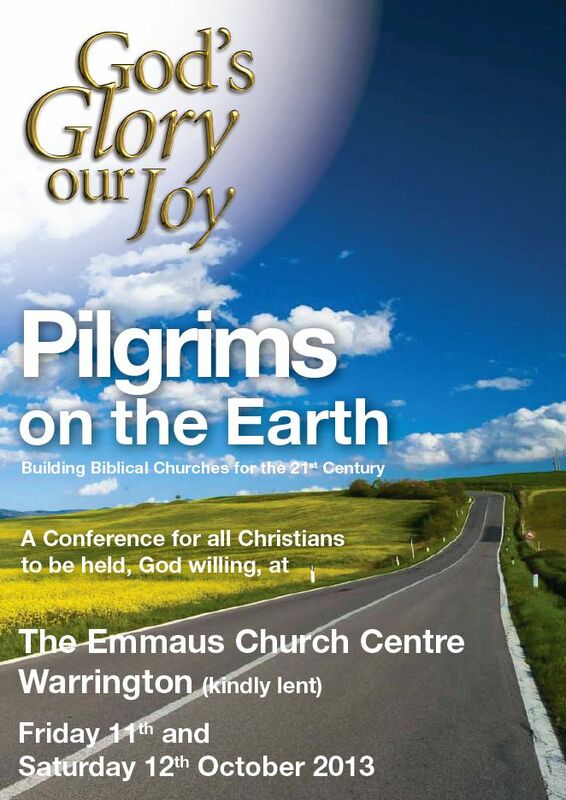 We hired school premises in Chester and advertised the conference in the Christian press. We planned four sessions. We asked Ted Donnelly from Northern Ireland if he would speak at the first session on the Sufficiency of Scripture. Why is it so important to resist the idea that God gives new revelations today? Why make such an issue of it? Answer: it undermines the fact that God has told us in the Bible everything we need to know. It distracts Christians from the Bible – God’s inspired, infallible and sufficient Word. Professor Donnelly spoke powerfully and persuasively: how blessed we are to have a complete and sufficient revelation of God in the Scriptures he has given us! It fell to me to speak at the second session. My job was to show from the New Testament that we should not expect revelation gifts today. The New Testament itself teaches clearly that the apostles were chosen by Jesus Christ to be the foundation of the world-wide Church; that their role was once-for-all, never to be repeated; and that the other revelation gifts of New Testament times were linked with the ministry of the apostles. Christ gave prophets, as he gave apostles, for the work of laying the foundations. And when that work was done, they were needed no longer. The charismatics could quote out-of-context verses to give the impression that such gifts are for today, but put those verses back in context and it’s perfectly clear that those gifts passed away many centuries ago. We turned to Nick Needham to put the question in its historical context. And he did. He showed us the way that revelation gifts did pass away after the apostolic era; he spoke about the various attempts among heretical groups down through the centuries to revive them; and finally, he took us through the beginnings of the Pentecostal movement in the 20th century. He showed how this supposed “revival” was rooted in unbiblical, mystical and hysterical theology and activity. It was a devastating exposé of the origins of the charismatic movement. And in the fourth session, Stuart Olyott asked the question, What Difference does it Make? How does this question work itself out in the experience of a believer? What would we lose if we took on board the claims of the charismatics? What do we gain when we realise that the Bible really is sufficient? I was not the only one in the hall whose eyes filled with tears of gratitude and joy as we listened to Stuart talking about the freedom Christ gives to his people as they build their lives on the once for all revelation that we find in the Bible. When we planned the conference we had no idea how many folk were likely to come. Fifty? A hundred? In the end, more than five hundred people squeezed into the school assembly hall. People travelled from all over the UK to be there. Some of them were already convinced “cessationists” (that’s the label that’s been stuck on folk like ourselves who say that revelation gifts have ceased). Some were confused folk, uncertain, full of questions, searching for the truth. Some were frankly hostile (I was glad when we came to question sessions that Martin Grubb was in the chair – without him, some angry folk could have turned it into a shouting match). Many, many folk testified to the help they had received. Hundreds of recordings were sold – I know many of them were sent all over the world. (You can still listen to the recorded messages on the GGOJ website). 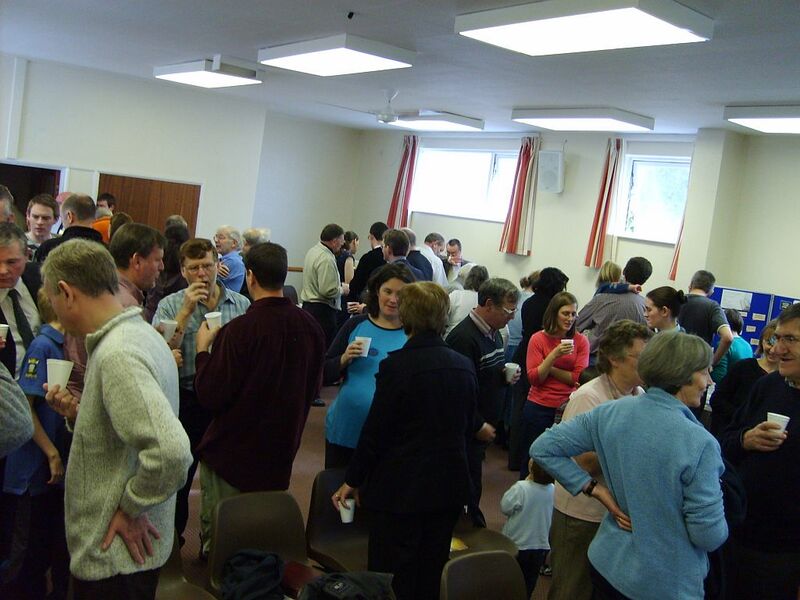 The Chester Conference was planned as a one-off – though a group of London pastors decided to rerun it a little later. (Three of the four speakers repeated their talks; I dropped out to make room for Palmer Robertson, author of a fine book on the gift of prophecy). For our part, we felt that we had done the job we set out to do, and we gave thanks to God for blessing it beyond our hopes or expectations. It was perhaps eighteen months later that I was involved in another significant conversation, this time by phone. I was chatting with John Palmer, pastor at Parbold Evangelical Church, near Wigan. We were comparing notes on different conferences we had attended – and confessing that in many cases we had been disappointed. And we were bewailing the fact that there was no regular conference in the North-West which we could happily encourage church members to attend. I can’t remember which of us it was who said, “Well why not start one?” If the Lord had so blessed the “spiritual gifts” conference, might there not be a place for an annual conference to encourage believers and to emphasise truths which were being neglected in many churches? We agreed that if such a thing were to happen, we would need to bring together a group of pastors who would be willing to organise it. Not necessarily men who would agree with us on every imaginable issue, but men who shared our great concerns – the reformed faith, Biblical church life, New Testament piety. Walter Johnston was one obvious man – a dear friend to us both and one who we knew would stand foursquare with us. We contacted David White, pastor at North Preston Evangelical Church, (no, not our own DW) to ask if he could join us. And finally we turned to Chris Rogers, pastor at Calvary Baptist Church in Liverpool. If there was one great thing we wanted this conference to uphold, it was the truth implied in that statement. 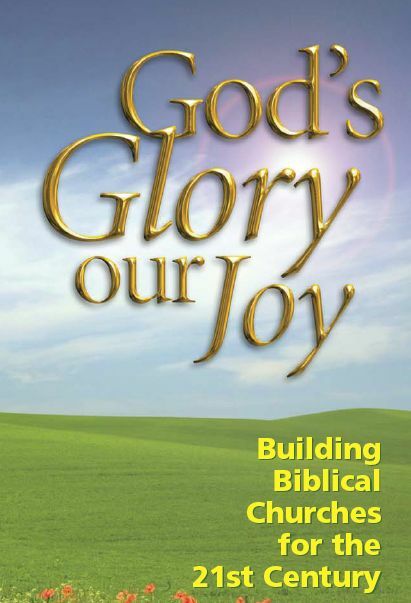 God’s glory is the great purpose for which God created and saved us. And real believers find their joy in God’s glory. But then we wanted to add something more. 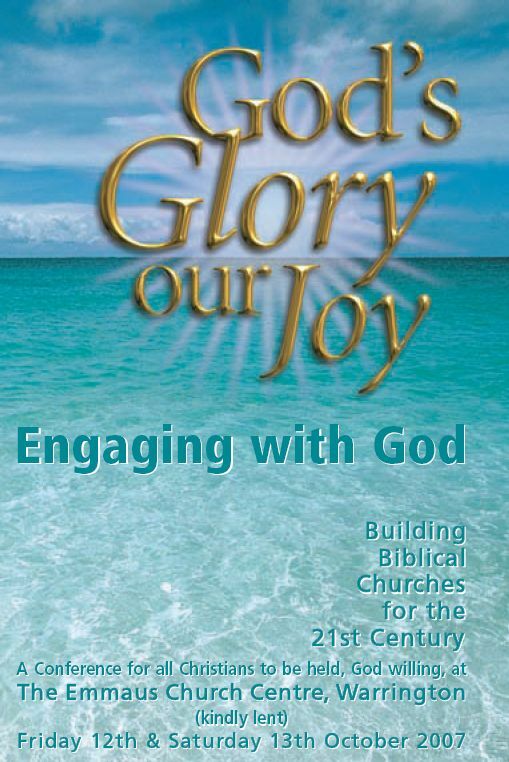 The first context in which we as believers are called to glorify God is within the local church. This conference must not just be about glorifying God and enjoying him as individual believers. 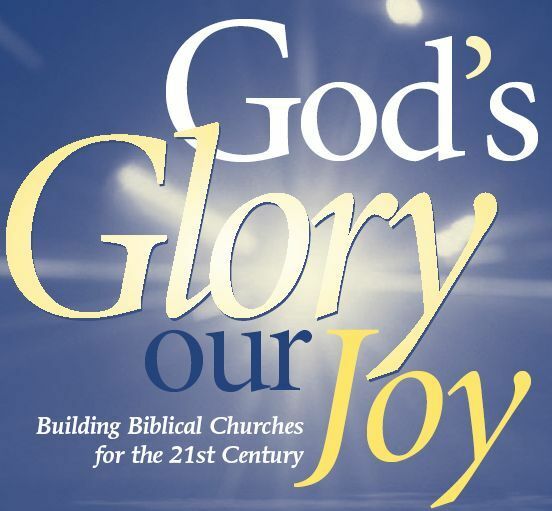 It must be about glorifying and enjoying him by building Biblical churches. So that became the subtext of the title. This conference was about Building Biblical Churches for the 21st Century. The first GGOJ conference was held in September 2000 AD. It spanned two full days: Friday and Saturday. Nine messages in all. Geoff Thomas, Alun McNabb and I each preached twice. Gerard Hemmings, John Palmer, David White each preached once. We hired a big concert venue in Warrington – the Parr Hall. And almost nobody came. The country was paralysed by a fuel crisis. Protesting lorry drivers and farmers had blockaded the oil refineries. We had dreamed of a congregation to compare with the 1998 conference. Instead our preachers spoke to a few rows of faithful believers in a vast, echoing hall. And they spoke powerfully. Some of the phrases and insights I heard from my fellow-speakers have stayed with me ever since. Of course we were frustrated by the turnout. But we persevered. Another conference was held the following year. And the next and the next. It has been held every year since then. The committee members have changed. Chris Rogers moved to South Wales. David White retired from the pastorate. Billy McCurrie and Oliver Allmand-Smith took their places. The conference has been held at different locations – sometimes public venues, sometimes church buildings. It was in 2006 that our friend Stephen Cartledge suggested that we might be able to use the Emmaus Church Centre in Warrington. We’ve gone back there every year since. The facilities have been great and we’ve been warmed by the hospitality and supportiveness of the church that meets there. We soon decided to jettison the goal of holding the conference over two full days. Not many folk are free to take Friday off work. So we fell into the pattern of holding a seminar for church leaders on a Friday afternoon, a meeting for all Christians on the Friday evening and then further open sessions on the Saturday morning and afternoon. We fell into a regular pattern too when it came to fixing the dates. The second Friday/Saturday in October became our norm. Subjects? Well, we’ve covered many things. The doctrine of Scripture… the nature of the Gospel… The doctrine of the Trinity…. 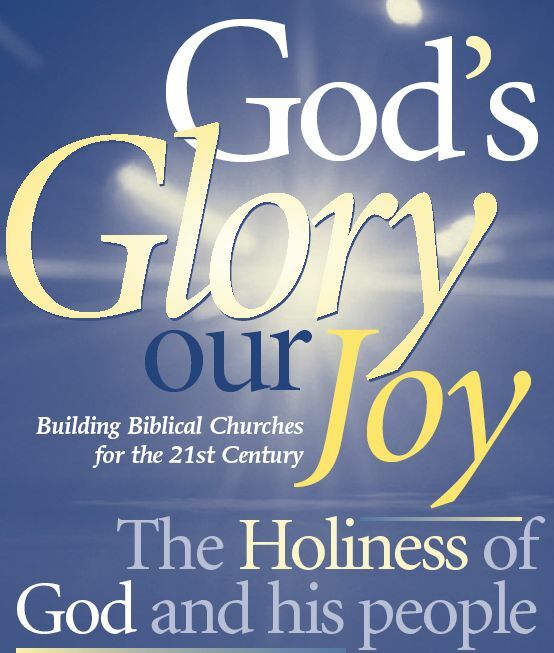 The holiness of God… But again and again, true to our sub-title, we’ve returned to matters directly related to the building of local churches: missionary practice… child evangelism… care of the elderly… the nature of worship… what should we sing? This is a conference organised by four churches to encourage the building of biblical churches. One of the happiest features of the conference is that it is an opportunity for fellowship between the churches. Not just the four organising churches. There are other churches that encourage all their members to come and who look forward to the conference as much as we do. So we see the same people again and again. We catch up with one another, exchange news, sing together, pray together, learn together from God’s Word. Over the years we’ve grown in our sense that we are a family of churches. No official association, no paperwork to tie us together. Just a common desire to reform ourselves in line with God’s Word. I guess the majority of folk from GBCS have made it a priority to get there every year. It’s a special joy when whole families are able to come. There are no rule to say that children must sit in all the sessions. But it’s encouraging that some of them want to. It really is an all-age conference. It’s rare for us these days to invite “big name” speakers. There are some men who preach regularly at conferences – men of great gifts and usefulness. We’re grateful to such men who have been willing to join us and preach for us at times. But more often we turn to men who don’t have a great national or international reputation. Often they’re local men, pastoring churches here in the north. We turn to them because they know our churches and understand exactly what sort of help we’re looking for. Tim Mills, David Harding, Allan White, Steve Wood… these aren’t men who are regularly preaching at the big national conferences – but how blessed we’ve been through their ministry at different times. What about this year? Well, we’ve had to change the location. After all the happy years at Emmaus, we’re not able to use their premises this year. As the work there has expanded, they have their own activities on Friday evenings. So this year we’re trying out a new venue. I’ve not viewed it myself but I’m assured it’s very suitable. Hopefully, you’ve looked at the conference programme. So you know what subjects we’re dealing with. (If not you can download it from the GGOJ site). They’re all subjects of vital importance. Andrew King from London is speaking at the leaders’ seminar. His subject is “Cutting the Fringe”. Attached to every church we find a circle of “fringe” people – folk who have never committed themselves fully to its life. How do we help such folk? Andrew spoke on this subject at the Grace Assembly this year, and I found it compelling. I’m glad that in this seminar session, we’ll have the opportunity to discuss the questions he’s raising. Gerard Hemmings is a very long-standing friend of the conference. He’s going to be talking to us about “Honouring our Allies” – what it means for evangelical churches to treat one another honourably, respectfully, lovingly. He’s also going to be dealing with the subject of “Honouring God in Family Life”. What does it mean for a family to live in a way that honours God? Where do we start? Family worship? Grace at meals? We all need help in these practical areas. Then there’s the crucial subject of the Lord’s Day. 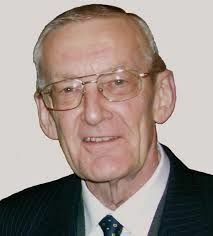 We had hoped that our friend Bill Hughes would be able to take two sessions on the subject of “Restoring the Lord’s Day”. Sadly, he’s had to withdraw because of his wife’s ill health. But Tony Flanders, Oliver Allmand-Smith’s co-pastor has agreed to step into the breach. Tony’s a wise, godly man who’s thought a great deal about this subject. Sad though I am that Bill’s not able to join us, I’m looking forward very much to all that Tony has to say. “We’re very conscious that many Christians and churches are abandoning the historic practice of keeping the Lord’s Day as a “holy day” _ a day set aside for worship and service. Some are doing so because they have been persuaded that the Ten Commandments and specifically the 4th Commandment are not binding in the New Covenant age. That’s probably not a position consciously held by many folk in our churches. But even in our own churches many folk have been influenced by their example and become careless about the Lord’s Day. It just seems to be fading from Christians’ consciousness. I meet very few Christians either in the UK or overseas who have any hesitation about eg going out to a restaurant for a meal, entertaining themselves in front of the TV set, or just lounging about on the Lord’s Day. Students from reformed churches that subscribe the 1689 confession often take it for granted that when exams come round, they’ll revise on Sundays. Does that sound important to you? All down through the centuries, believers have found that if they want to walk closely with God, it’s vital that they should start by keeping the Lord’s Day holy. A friend of mine calls the Lord’s Day the hem on the garment of life. Lose the Lord’s Day and everything begins to unravel. The spiritual well-being of the family, the church, and our own souls, depends so much on the right use of the Lord’s Day. The Lord has blessed many of our conferences in a wonderful way. Pray that this year’s conference will have a unique impact on our lives as individuals and as a church. I hope to see many of you there.